Next week I’m going to the dentist and I’m getting my hair cut. I’m doing my best to have a sparkling smile and to not look like a ragamuffin. Next week I am going to go to pilates and I’m going to bundle up for walks. I’m going to wear ankle boots and not trip over the curb in front of strangers on a Tuesday. I’ll do my best not to cough because I breathed in coffee instead of drinking it. Next week I’ll contain this frog that seems to like living in my throat. Next week I’m going to high-five November. And I’ll probably buy another coat for fashionable reasons instead of warmth. Next week I’ll work on cinnamon roll patience. I won’t tap my foot with a crinkled forehead. Next time I make these, I’ll make the dough the night before, because next time I won’t want to wait until 2pm to eat them. But there sure will be a next time because I’ve daydreamed about these for a year. They are tasty and delicious. 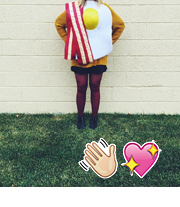 They are like the fall line of cinnamon roll fashion. Like the perfect boots to go with that dress to go with that coat. The perfect accessory for your morning. Next time I make these, I won’t eat them standing in my dining room. 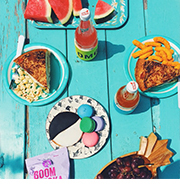 I’ll hopefully be eating them while brunching, and sitting and cheering your good looks with cider. Make the dough. Proof yeast in warm water for about 5 minutes, or until foamy. Meanwhile, warm the milk and butter in a small saucepan on the stove until the butter is melted. (Keep the ssauce pan around because you will need to use it two more times.) Combine this with sugar in a large heat-proof mixing bowl and stir until the sugar is completely dissolved and it doesn’t feel grainy when the spoon is pressed against the bottom of the bowl. Let the milk mixture cool until it’s warm, NOT HOT. Then stir in the yeast and pumpkin. Add the salt and five cups of flour all at once, stirring until all the flour has been absorbed. The dough will be sticky, but should come together in a shaggy mass. If it’s more the consistency of cookie batter than dough f’sho, simply add the remaining 1/2 cup of flour and work it in. Cover the dough with plastic wrap and set aside in a warm place to rise for 1-3 hours or until double in size. 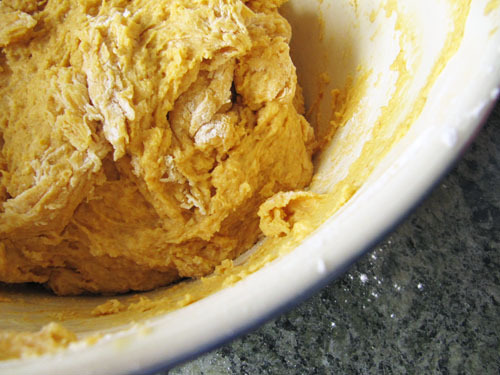 At this point, you can punch the dough down and refrigerate it over night or continue with shaping the dough. 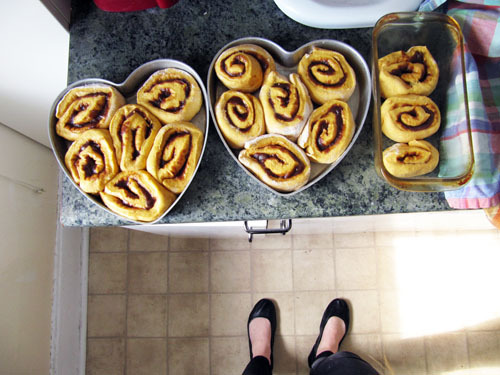 Right away or the next morning: shape the rolls, sprinkle your work surface with flour and dump the dough on top. Pat down into a rough rectangle and then using a floured rolling pin, roll it into a larger rectangle that’s about 1/2 inch thick, longer than it is wide. 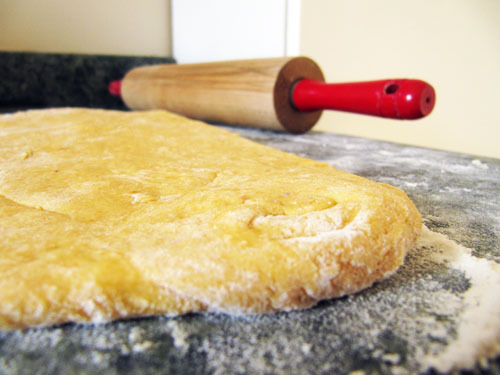 If the dough gets sticky, sprinkle additional flour on the surface, your hands and the rolling pin (like below). Make the filling. Melt the butter in a small saucepan. Pour over brown sugar, cinnamon, ginger and nutmeg in a small bowl. When combined, spread over the rectangle of dough leaving an inch of bare dough at the top of the rectangle. Starting at the edge closest to you, roll the dough into a cylinder and pinch it closed at the top. 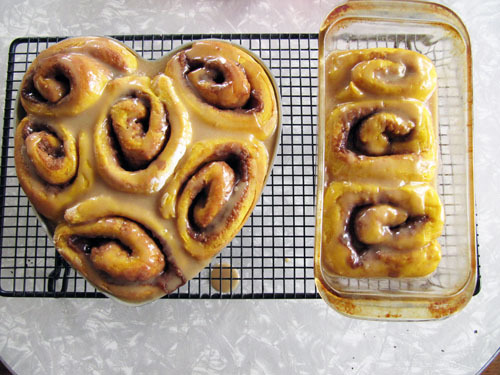 Spray the bottom of two 9×13 inch pans with cooking spray, or two 9-inch cake pans, or two heart shaped cake pans and one bread pan, or a combination. Cut the cylinder into individual rolls about 1-1/2 inch thick. Place them into your baking dish so they have a little bit of wiggle room on all sides to rise. Cover with a clean towel to rise about 30 minutes, for already warm dough and 1 hour for dough that’s been refrigerated. The rolls will fill out the pans and be puffy. About 20 minutes before baking, preheat your oven to 375°F. Bake them for 20-25 minutes, until they start to look toasted around the edges rotating the pans halfway through baking. Make the glaze. In a small saucepan over medium heat, combine the milk and butter. When the butter has melted, add the brown sugar and salt. Stir until the brown sugar has melted. Remove from heat and stir in powdered sugar. It’ll be a thick, but pourable glaze. Let the baked rolls cool for about five minutes before generously drizzling with the glaze. 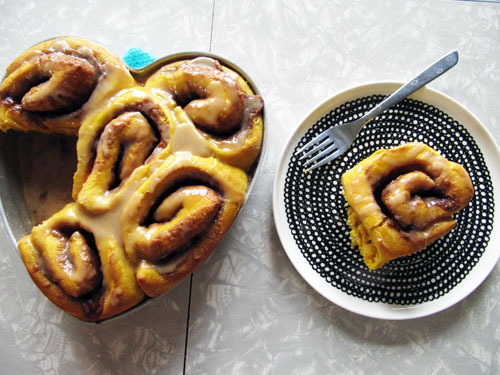 Use up all the glaze, because it’s so dreamy and tasty. Eat them immediately! 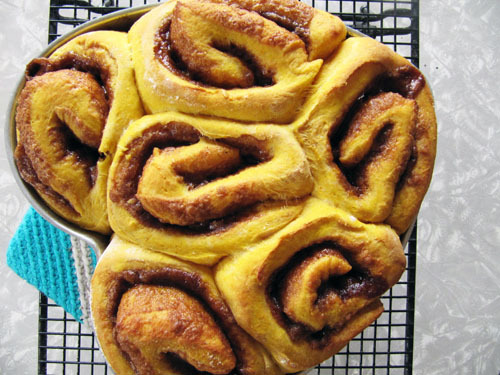 A cinnamon roll that does what it wants. I believe if we lived in the same area of the country, we would be friends. Fact. Can you pretty please make these at thanksgiving? Please???? 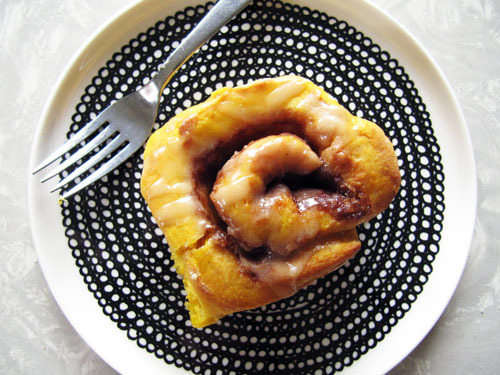 Brown sugar glaze is such a good idea for cinnamon buns! So often I find cream cheese icing/glaze too cloyingly sweet. What a great option! OOh Lora, I want to! We’ll see if Mom and I have time. I’ll try really hard though, I promise. And Dana! I totally agree. This was my first time doing the brown sugar glaze thing for cinnamon rolls, and it was dreamy. In the process of making these right now. They rising in the pan waiting to go in the oven. I can’t wait to eat them. I didn’t have any ginger so I used cloves instead. I’ll let you know how they taste!! Your right, they are very tasty! The cloves were definitely a good substitute! Thanks for the recipe. My dough is taking a nap in the frig overnight.. sweet dreams pumpkin!